IACA Dark Web Investigation Support – Provided by I.A.C.A. Find (hidden) marketplaces on the Darkweb. Search in multiple engines on the Darkweb. This FREE website is provided by International Anti Crime Academy (IACA) | The Netherlands. IACA is licensed to operate by the Central Register for Short Vocational School, the Centre for Post Initial Education and the Centre for Post-Bachelor Education. IACA is since 2013 specialized in the field of Open Source Intelligence (OSINT) and Social Media Intelligence (SOCMINT). We guaranty that we can’t see, log or store your search input. This is an informative website that provides information about the Dark Web. We do not see, log or store any of your search queries. You can only use the tools and scrips via the TOR network. 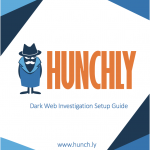 If you are not very familiar with using the Dark Web, we recommend to read a short manual here for your own protection. The use of this website is at your own risk. IACA is not liable for the consequences of using this website.